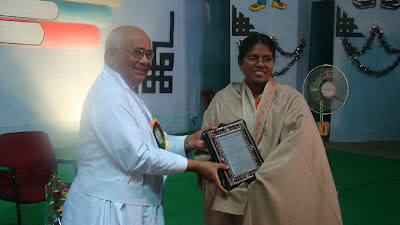 The Students of Viswasanthi Educational Society, Vyyuru accompanied by Mrs Kavitha Lecturer in Botany visited Andhra Loyola College Botanical, Herbal garden and Labs on 09-02-2012. As a part of curriculum, where the students were made familiar with many herbal and Ayurveda plants in our herbal and botanical gardens. The significance of the plants of their study was explained by Dr . B. Siva Kumari, HOD of Botany. Guest Lecture: Mr. P. Srinivasa Rao Lecturer in Botany and Mr. K. Bala Chandra HOD of MicroBiology delivered a guest lecture on " Career guidance for Biology students. They explained the scope of biology and also job opportunities for biological students. Rev. Fr. Principal Dr.A. 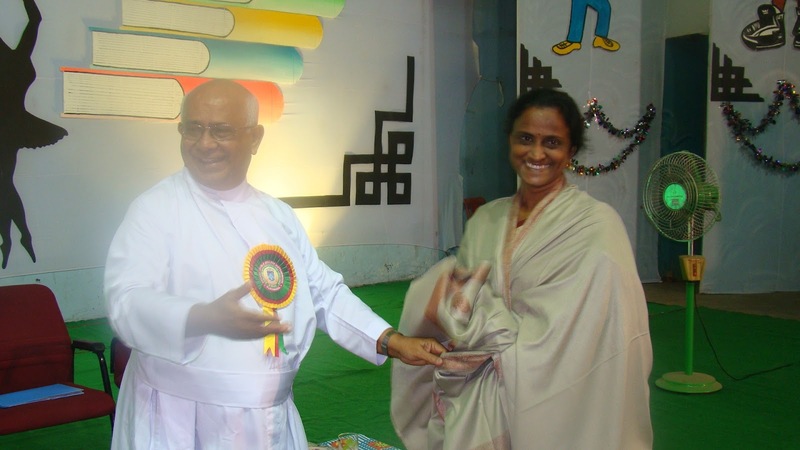 Francis Xavier, S.J, honored the Botany lecturers as they pursued their P.hD during this academic year on 3-2-2012 at college day. Dr. T. Rose Mary pursued her degree on 03-01-2012. Cultivating plants inside the home is both a popular hobby and an interior decorating technique A houseplant is simply an outdoor plant which has been planted in a pot and cultivated indoors. Not all plants are suitable for indoor culture. Some require environmental conditions that are impossible to duplicate indoors. Others are adaptable to indoor culture where their minimum growth needs can be provided for. The key to successful indoor plant culture is to select plants which are adaptable to the conditions of your home. The III B. Sc Botany students exhibited 40 models in Horticulture in front of the College main gate in order to give awareness to the students regarding the need and importance of indoor plant culture. The students explained how to create the Bonsai, Hanging garden, Kitchen garden, Terrarium and Hydroponics and the use of all these models. It is a blend of both creativity and science.